Jewellers and retailers made token purchases to mark the occasion of Diwali and beginning of Samvat year 2075. Gold prices dropped by Rs 210 to Rs 32,400 per 10 grams in a special trading session in the bullion market on Wednesday. Tracking gold, silver too fell by Rs 300 to Rs 39,000 per kg. 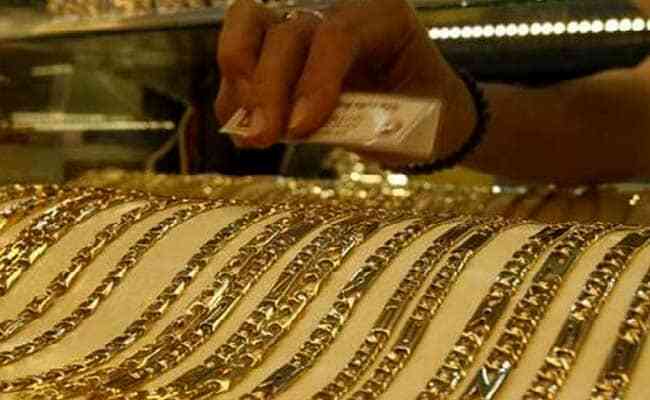 Bullion traders said the slide in gold prices was mostly due to absence of worthwhile activity as jewellers and retailers made token purchases to mark the occasion of Diwali and beginning of Samvat year 2075. In the national capital, gold of 99.9 per cent and 99.5 per cent purity traded lower by Rs 210 each to Rs 32,400 and Rs 32,250 per 10 grams respectively. The precious metal had shed Rs 80 on Tuesday. Sovereign too weakened by Rs 100 to Rs 24,800 per piece of eight grams. In line with overall trend, silver ready fell by Rs 300 to Rs 39,000 per kg while weekly-based delivery lost Rs 316 to Rs 38,128 per kg.